Below is the Technical Assessment Criteria for the BASI Alpine Level 4 ISTD. You need to be able to perform at the level in the areas listed below and should centre your training around this. Training you receive from ICE on a Performance and Preparation course, will focus on these areas and will look at these outcomes relative to your performance to ensure you get the most from the course. 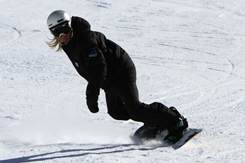  Perform cleanly carved (unless the task is otherwise) turns on a black or steep red piste.  Influence the radius of the arc whilst still carving. 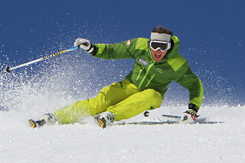  Perform grippy (at the fall line) symmetrical, short turns, in various corridors on a black piste. 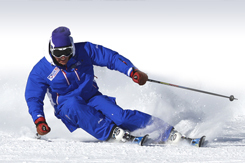  Perform rounded, linked turns in a variety of conditions on black steepness slope.  Show turns of various radii.  Show a high degree of ski performance.  Perform a rounded, linked turns on terrain that is at least 30 degrees. 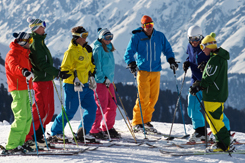  Ski a fall line descent, at or above the minimum speed on black steepness terrain.  Perform a variety of lines and tactical approaches.